With the release of Civilization VI, countless players will be burning the midnight oil, muttering “just one more turn” to themselves, for the foreseeable future. 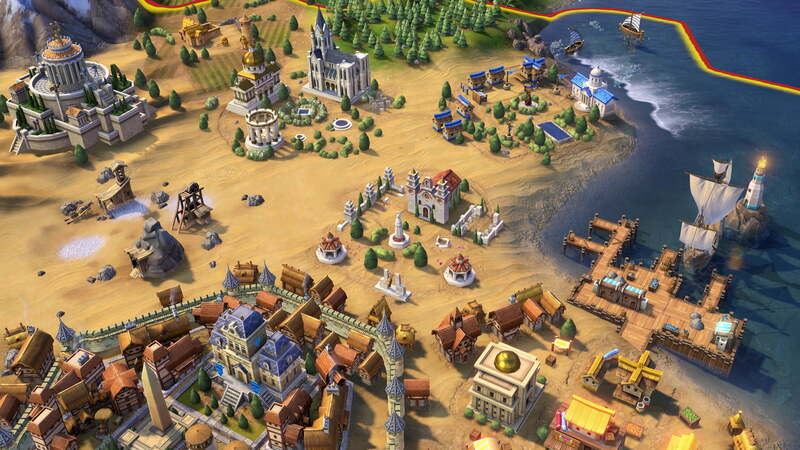 Whether you’re a series newcomer or a Deity-level veteran, Civ VI offers a lot to chew on. If you’re an absolute Civ virgin, the game’s thorough tutorial and advisor system are great for helping you get your bearings. Once you have the basics down, we have a few less immediately obvious tips based on our experience with the game that will help you master the particular intricacies of Civilization VI. The addition of urban sprawl, which makes buildings and wonders now take up tiles on the map, has completely changed the puzzle of laying out your cities. Whereas before you would mostly be concerned with what improvable resources would fall within a new city’s borders, now it behooves you to really think through how you want to specialize each city, since they are limited to one district for every three citizens (unless you’re Germany, which raises that cap by one). Unique district variants that certain leaders have also do not count against this limit, and cost half to produce. Familiarize yourself with the adjacency bonuses of each district type (we’ve been using this cheat sheet from Reddit user iotafox), such as mountains for Campuses and Holy Sites, or rivers for Commercial Hubs. Before you found each city, take both your overall plan and the particulars of the surrounding geography into account and plan where you want to build particular districts and wonders in order to maximize their benefits. Campuses, Holy Sites, Theater Squares, Commercial Hubs, and Industrial Zones all get bonuses for being next to other districts, so you generally want to pack them together as closely as possible. This is reinforced later in the game once Espionage is unlocked, since your defending spies on counterintelligence duty are placed in a particular district, and protect it along with all of its surrounding tiles from sabotage. Also of note, you no longer need to found cities on the coast in order to build naval units. Any city with a coast tile within its workable range (three tiles from the city center) can build a Harbor district to achieve the same effect. The Harbor unlocks with a Classical Era technology (Celestial Navigation), and settling a coastal city does activate the Boost for Sailing, so settling on the shore is still key if you want to take to the sea early (like if you’re playing as Norway). Two new systems limit the growth of your cities. The Nationwide happiness rating has been replaced by localized amenities score in each city, and a new stat, Housing, limits how large a population any given city can support. You will want to proactively take both into account when planning how to grow your cities, in order to avoid inefficient periods of no or limited growth. Amenities, the new, city-by-city version of series’ “happiness” system, can boost or hamper your city’s productivity depending on how well you “pamper” its citizens. Every city needs to maintain net “Amenities” score of zero or higher to function normally, requiring one amenity for every two citizens starting at three. Falling below zero, which may occur after factors like “war weariness” and bankruptcy cause the score to drop, will slow growth and non-food yields. Eventually, failing to raise your amenities score will lead barbarians spawning in your borders. Conversely, high amenities can boost growth and yields. Every improved luxury resource provides one amenity point to up to four cities. Additional copies of each resource are only good for trading. The amenities bonus from luxury goods is automatically distributed to where they are most needed. Great people, world wonders, policies, religion, national parks, and buildings in the entertainment complex can also boost your amenities score. The Complex has no adjacency bonuses, and several of its buildings provide Amenities to all city centers within six tiles, so take that into account when placing them. Another new system, “housing” limits the number of citizens that a given city can support. By default, new cities support two people, but that can be boosted up to six if the city center is adjacent to a source of fresh water (river, lake, or oasis). If you can’t settle on fresh water, then aim to be one tile away from a source of it or a mountain, since the early Aqueduct district will add up to six Housing for cities without a native source of potable water. Farms, plantations, and pastures all provide 0.5 Housing, which helps cover early growth, but eventually you will need to supplement that with buildings (such as the Granary or Sewer), Policies, Religion, and Districts. The Industrial Era Neighborhood District adds up to six Housing, scaled to the Appeal of the tile, and you can build as many as you have the space to support. In a pinch, building a Settler will also drop a city’s population by one if it is nearing capacity and you want to keep growing unhindered. Strategic resources, such as Iron and Horses, work a little differently in Civilization VI. Unlike in Civ V, where you needed one resource to produce each corresponding unit, now you simply need to have access to two instances to produce as many units as you can otherwise sustain, and only one to do so if the city has a Harbor or Encampment. For instance, you need two sources of Iron to make swordsmen in a regular city, or one if it has an Encampment. Accordingly, strategic resources on the map also now only provide access a single instance of the resource, instead of a discrete amount, as found in Civ V.
Trade routes work generally the same way they did in Civ V, though they now reward savvy players with a more diverse range of resources, corresponding in part to the districts built in the destination city. One new wrinkle, however, is the automatic construction of trading posts in the central tile of every city to which you sent a trade route, foreign or domestic. Passing through a Trading Post extends the range of the Route by fifteen (over a base of fifteen), and also adds one gold to your net profit for each Post. There is no limit to how many Civ’s Trading Posts can exist in a given city, but you can only take advantage of your own. Take this into account when selecting Trade Routes, in addition to just the immediate benefit, since a bit of planning will help extend the range and efficacy of your trade network over the long game. Also note that you no longer build roads manually for the most part, since they are now automatically built by traders along their routes. Eventually you can do so deliberately with the Military Engineer support unit, but at a cost of one charge per tile it’s not nearly as efficient as relying on trade. Setting early, domestic trade routes can be critical for establishing infrastructure. It’s more important than ever to invest in early military in Civ VI, no matter how you plan on winning. 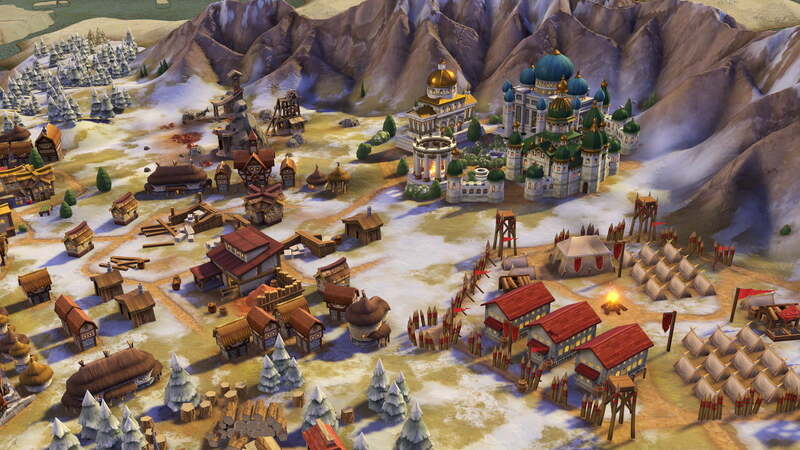 In Civ V, any city could bombard nearby enemies from the start; in Civ VI city centers (and encampments) can only attack after building Ancient Walls (unlocked with Masonry). Barbarians generally have more powerful units throughout the game than before, starting with Spearmen instead of just Warriors. They also send out Scouts first. Killing barbarian scouts should be a priority when they arrive: Catch a Scout before it returns home and the Barbarians won’t find out about your city, buying you time to nip the problem in the bud. Should the Scout make it back home, however, get ready for a serious onslaught to follow if you don’t clear out their camp soon. Scouts have more movement than most of early units, so its important to have many, well-place units with which to corner them. The second reason to soldier up early is that neighboring, AI-controlled civs seem to be much more aggressive in the early game, especially at higher difficulties. The addition of Cassus Belli, a system that penalizes civilizations for declaring war without proper “justification,” means that many civs will be more conflict-averse as the game goes on, in order to avoid diplomatic penalties if they don’t have a justification for declaring war. However, there are no warmonger penalties in the Ancient Era, and the AI definitely knows it. Be especially wary of neighboring civs with access to strong Ancient Era specialty units, such as Egypt, Sumer, Greece, and the Aztecs, since they are most likely to catch you off guard. We’ve lost games within fifty turns on Emperor difficulty because the production bonuses that AIs get at difficulties above Prince, combined with their amped up aggression, meant that Gilgamesh showed up at our border with a horde of War Carts while we just had a handful of Slingers. The community has definitely noted this trend, so it’s possible that it will become less of an issue after patches, but be careful for now.